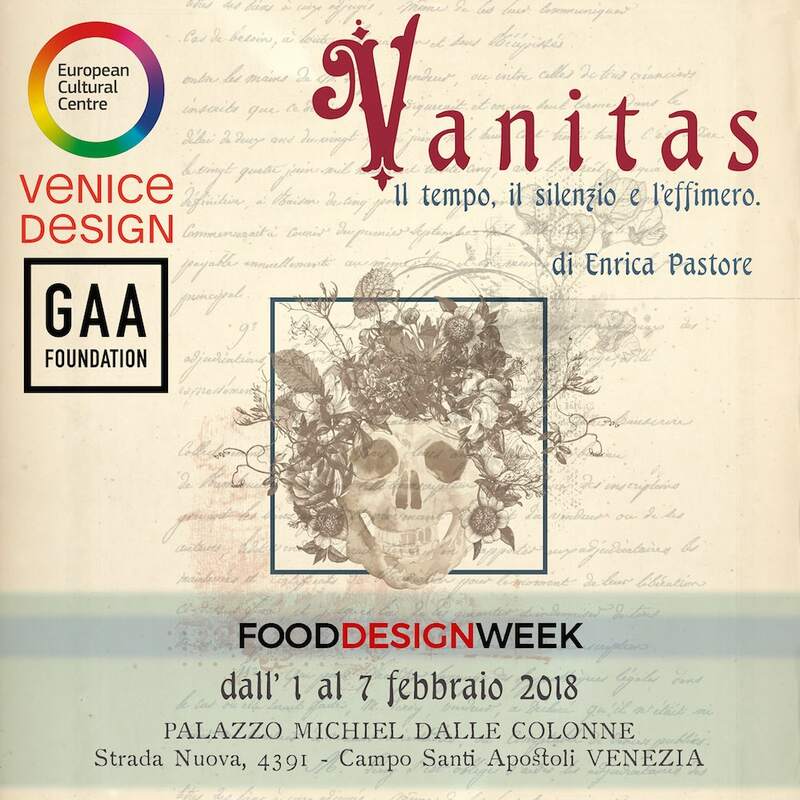 Invitation to admire the Vanitas by Enrica Pastore at Food Design Week in Venice. The new Guidi commitment between art and food. FOOD DESIGN WEEK is anorganisation hosted by the European Cultural Centre in Venice, where we will be organising VENICE FOOD DESIGN in the first week of February. We like to show current developments, thoughts, ideas and even dreams in Food Design and therefore we bring together an international group of Food Designers, Artists, Performers and Chefs from different cultural backgrounds in different stages of their careers. The VENICE FOOD DESIGN Week comprises of two parts: an exhibition as an open platform for creators during the day; and evenings hosting an exclusive, innovative food design dinner. FOODDESIGNWEEK is an exhibition week running from 1-7 February during the Venetian Carnival. The exhibition, themed VANITAS, was inspired by the wealth, luxury and abundance of the Dutch Golden Age still-life painting. What results is a pop-up exhibition that explores abundance, vanity and the self-destructive nature of the contemporary food industry. Innovative creators and dining/food designers are invited to explore these topics through their performances, installations, films or objects. During the dinner night, we disconnect sight as the primary source of information, giving the diner a chance to reconnect, question, and heighten their perceptions. In a current age of excess, immoderation, and sensorial saturation, Food Design Week invites diners to return to their senses – their own simple, natural, and even animal instincts – with an even deeper hope to awaken one of our most unused senses: the intuition.